The Ojinaga museum is recently accepted as a museum by the government. After almost 30 years of struggle to name it a museum, it finally opened its doors to the public in 2018. Before it was the house of culture Manuel Ojinaga, you can see the first branding here. One of the most important things was to have a map to show the exact location since Ojinaga is a very small city. Also the description of the address is important. We want this site to have all the information about culture in the city, such as links to the other cultural groups like Toastmasters and the Acting Group. 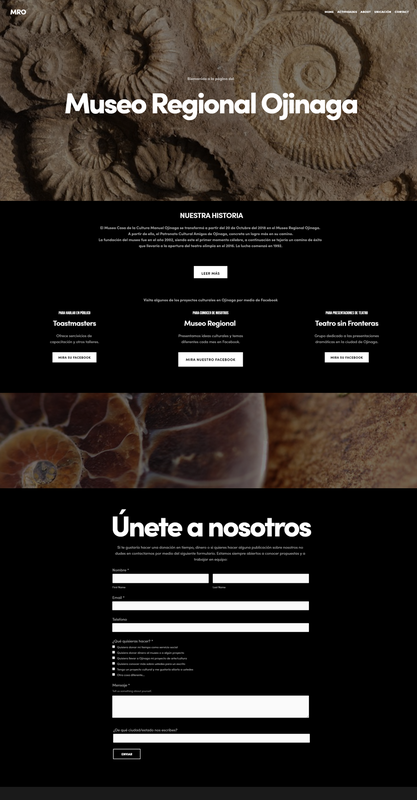 The experience of this page will include more things. Some extra tabs were added to place a workshop calendar. 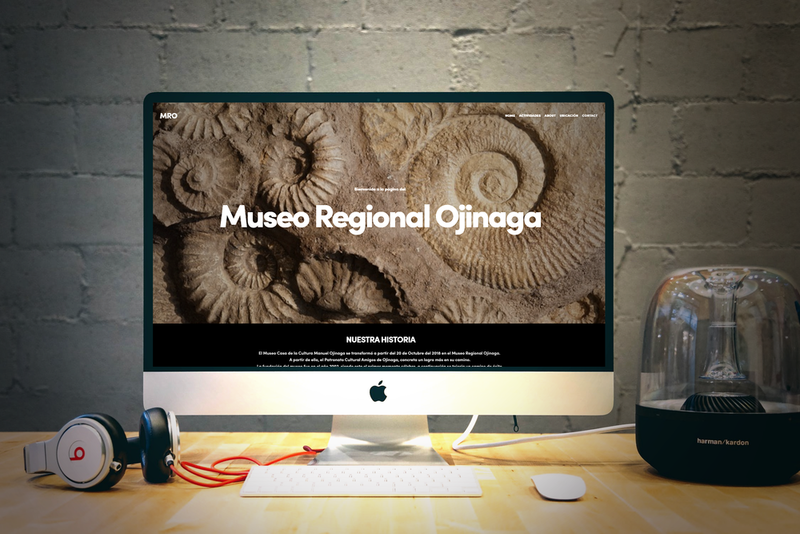 We want to give it a mystical identity because Ojinaga has many fossils and stones.This museum will present art and culture. But it is also possible that in the future it has a history room that will also contain dinosaurs. Before the house of culture handled a branding for children. Dedicated exclusively to culture and workshops for children. Now we want to include something more serious and formal in this, not even we will keep the cute mascots specially for printing and social media.